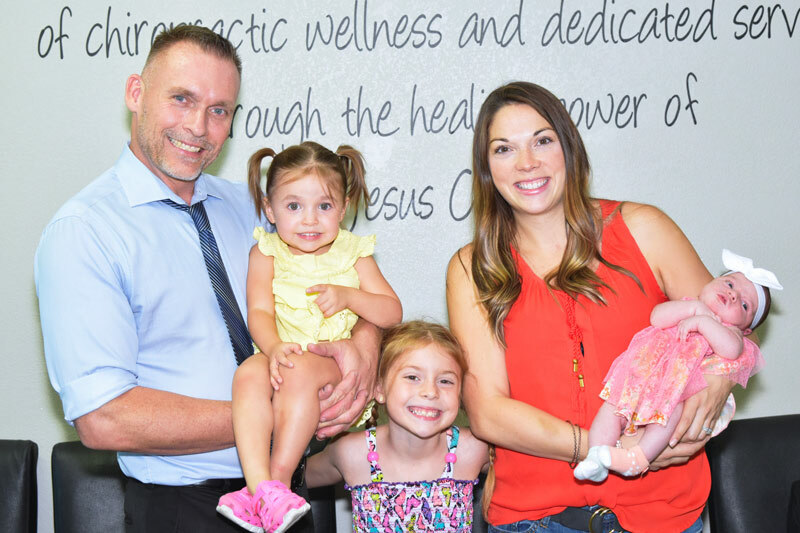 Dr. Steve Van Laecken – D.C.
Dr. Steve and his wife Destiny have a beautiful blended family of 7 daughters. He believes that chiropractic care is very powerful–healing occurs with touch and that is what chiropractic is all about. Not only does he treat his whole family on a regular basis but he is also treated multiple times per week so he can stay healthy. Dr. Steve, D.C., was born and raised in Minnesota. After being helped by a chiropractor in 1988 he decided at that point he wanted to do for others what he had experienced through chiropractic. He attended Parker Chiropractic College in Dallas, Texas where he took his studies very seriously and received high honors and certified in several different adjusting techniques. He graduated from Parker Chiropractic College in December 2005 with his Doctorate in Chiropractic and a Bachelor of Science in Anatomy. He is continually learning and is in school pursuing his Paramedic license, RN and eventually FNP. All this education will help to increase his scope of practice and allow him to have all the tools he needs to better serve his patients. Dr. Steve, D.C., enjoys staying active, including participating in The Tough Mudder, Spartan obstacle course races, and trail running with his wife and kids. Staying healthy is important to him; he feels that if he can’t stay healthy, then how can he teach others to be healthy. Dr. Steve, D.C. likes the office to be a place where people come in to achieve their full health potential through chiropractic care. When patients leave SpinalWorks they feel invigorated and ready to take on the world! Nicole was born and raised in sunny Southern California, and moved to Phoenix 5 years ago to attend college. She is currently finishing her Bachelor’s Degree in Health Sciences at Arizona State University. When she is not tending to all of the lovely patients of Spinalworks Chiropractic and finishing up endless amounts of homework, Nicole enjoys spending time with her boyfriend and friends. Along with traveling, watching movies, participating in a variety of outdoor activities like soccer, golf, and snowboarding. 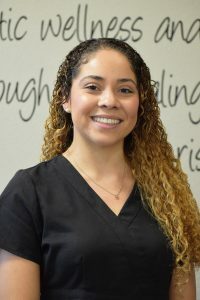 With a passion for helping others, while always having a smile on her face, Nicole will be one of the first to greet you during your wellness visits!